In exchange for teaching her some tricks in the kitchen, my friend Brittnee from L’ing the L came over and did delightful food-inspired nail art for me tonight. Dinner was artichoke with Sriracha mayo and pasta shells stuffed with ricotta, spinach squash and basil with homemade tomato sauce. 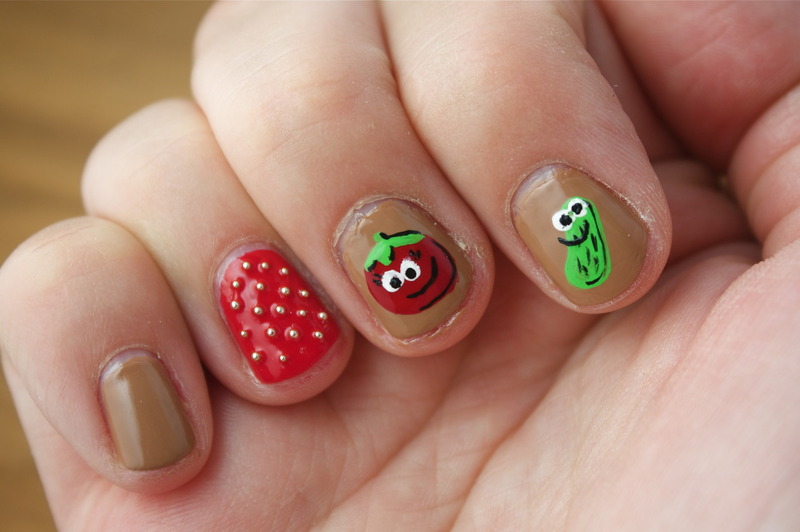 Inspired nails: tomato, cheese and green squash faces! (plus some studs and a disco nail). 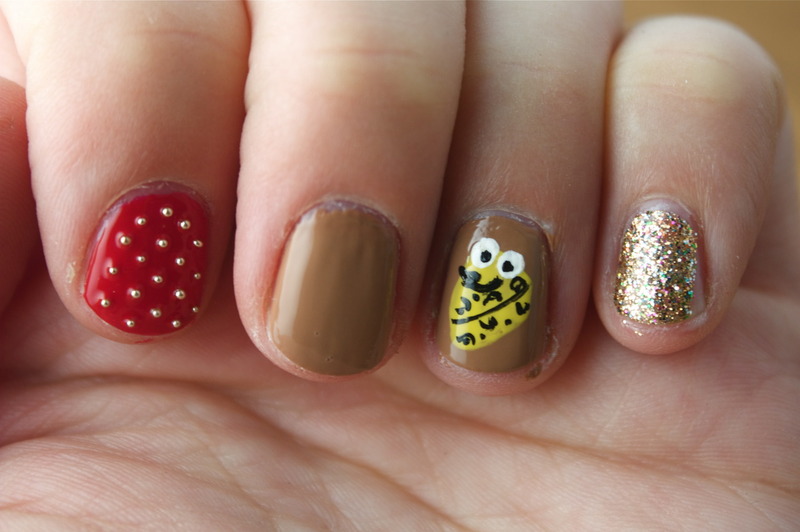 Recipe post coming soon, I just needed to show my nails off!